year the competition is being held June 13-21st. 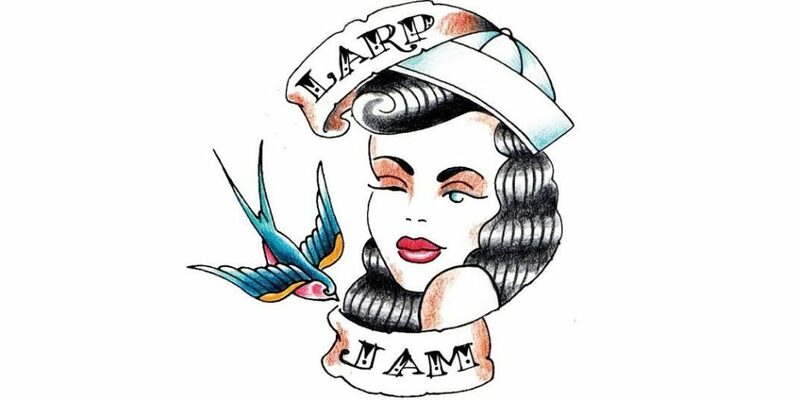 To kick it off the Larp House is hosting a LarpJam. LarpJam is a round-robin larp design workshop. Players make larps in small groups and trade them around. Each larp is expanded on by each subsequent group, becoming stronger as it comes into contact with more designers. In a matter of hours people with no larp design experience can create awesome, fully-playable larps! Even if you can’t attend this LarpJam, you are encouraged to design something for Game Chef and plan to attend a future jam. Anyone with interest in games can LarpJam. In fact, people with little or no larp experience are more qualified to create larps in LarpJam. Experienced larpers and game creators are also, of course, welcome. 6:00 pm – 9:00 pm on Saturday, June 13th, 2015. If transportation is an issue, e-mail the Outreach Committee at larphouse.outreach@gmail.com with what area you are in and we will try to find somebody you can ride with. Larpjam is a collaborative game design workshop. Participants make their wildest larp dreams come true by working in small groups. If you are interested in playing, register for our event on meetup.com. This event is free and open to the public, so invite your friends and forward this email widely! Participants will be randomly assigned into design groups. Play will include talking and writing in small groups. If you have any question about this content warning please email larphouse@gmail.com. For more information about this event email larphouse@gmail.com. Your inquiry will be forwarded to the organizer best suited to answer it. Jon is looking for someone to help organize this event. He has run many LarpJams and would love the opportunity to teach someone The Way of the LarpJam. If you are interested, send an email to larphouse@gmail.com.